It takes a village to foster the success of students. Illinois State University INTO Pathway Program has thrived from the long held tradition of maintaining an engaging learning environment for global learners. 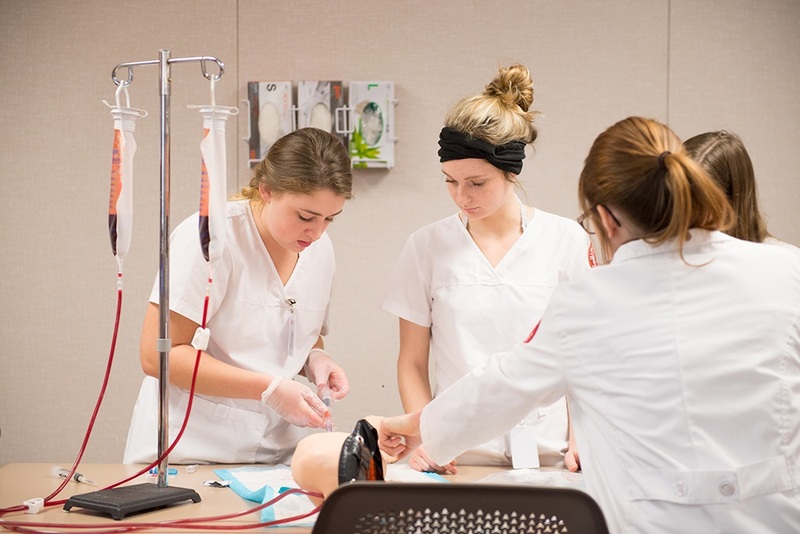 By choosing to be part of the Illinois State University INTO Pathway Program, you will gain the knowledge and tools to succeed with the help and patience of the community around you. International students who study in the US are required to have a certain level of proficiency in the English language. These levels are determined by standardized tests such as the Test of English as a Foreign Language, or TOEFL. Students who do not achieve a certain score on these tests will not be accepted to study at a US college or university. However, pathway programs provide an opportunity for international students to study English while studying in the US, so if your English skills are not yet strong enough to pass the TOEFL, pathway programs are a good option for you. The Illinois State University INTO Pathway Program will allow you more time to choose a major, give you better odds for undergraduate admission, and the chance and time to adjust to US culture. With more than 67 countries represented on campus, the Illinois State University INTO Pathway Program center feels like a second home to international students from each corner of the world. The center is a learning community where you can find the support you need to succeed. You will meet dedicated staff ready to assist you in anything you may need including: housing, visa questions and academic support. We also organize social events so you can meet new friends. As Illinois’ first public university, Illinois State University INTO Pathway Program has gained a reputation for excellence over the years. The university is ranked in the Top 100 Public Schools by U.S. News & World Report for its academics, affordability and high-quality research. You can choose to study in 165 undergraduate majors, 94 master’s degrees or 10 doctoral programs. Our faculty focuses on integrating traditional methods with emerging innovative ideas to bring you the best possible education. When you attend Illinois State University INTO Pathway Program, you will have the opportunity to participate in meaningful research, civic engagement, artistic expression and gain experience in your field both inside and outside the classroom. There are three ways to begin your undergraduate studies at Illinois State University INTO Pathway Program. With 165 bachelor’s degrees and 94 master's degrees, flexible study plans and multiple start dates throughout the year, we’ll help you find the path that’s right for you. In International Year One, you have the option to choose from Business, Computer Science, General Studies, Information Systems, or Science. Under Graduate Pathway, you can choose Accountancy, Arts Technology, Economics, Fashion Design, Dietetics, Family Sciences, Hydrogeology, and many more. The Academic English program is a stand alone option. Being so far away from home can become very intimidating. At Illinois State University INTO Pathway Program, it won't be difficult to find support right on campus. With eager help from student services, any questions you have and any needs you require will be answered and situated. Our goal is to help make the US feel like home during your studies. A member of our student services team will always be available to you 24 hours a day. Around the clock support right from campus includes but is not limited to: tutoring, airport pick-up, and any help with Visas as needed. 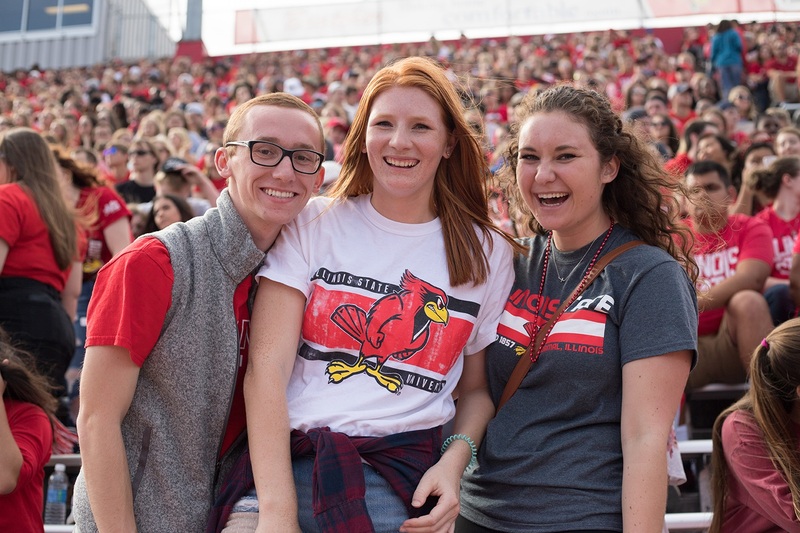 Stationed in between the best of both worlds, your campus and social life at Illinois State University INTO Pathway Program was designed for you to experience both a local community lifestyle and that of a bustling city. 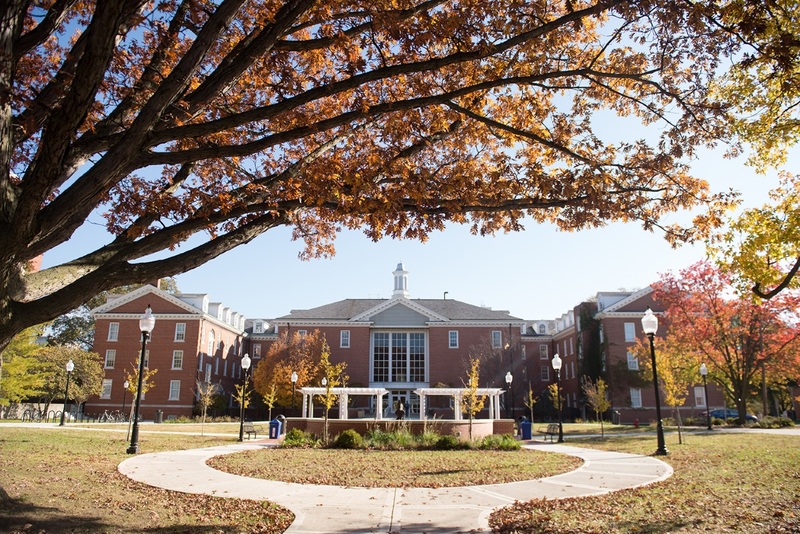 If you are accepted into an Academic English or International Year One program, you are required to live on campus for your first two years. Living on campus gives students the opportunity to interact with other undergraduate students within conveniently located residence halls. Residence halls plan hundreds of educational, social and recreational programs each year making it easy to make friends. Students can also enjoy several amenities such as computer labs, study areas, WiFi, and nearby fitness and laundry centers. Life in Bloomington-Normal includes a picturesque countryside, bike trails, and locally-owned shops just steps away. In turn, students are also a short 2-hour bus ride to Chicago, where you can visit historic Millennium Park and be surrounded by Fortune 500 companies. 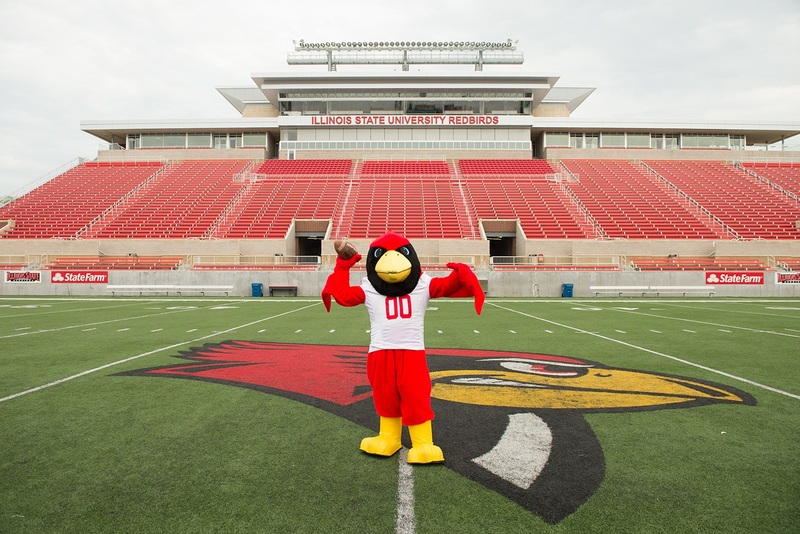 Whichever your mood or lifestyle fits most, Illinois State University INTO Pathway Program Campus and Community Life has it to offer. When you live in Bloomington-Normal, you can expect to experience all the charm of a traditional Midwestern town with an extraordinary quality of life. The town is known as a biker-friendly community where you can experience annual bike races or spend time recreationally exploring more than 30 miles of the Constitution Trail. If you don’t own a bike, don’t worry. The city provides a free, local bus service so you can easily explore the city with the rest of the community. We want you to succeed, and we know that finances can become difficult for some students. We have scholarships available for both direct entry and Pathway students that can be applied to your tuition. Scholarships range from $1,000 to $12,000. To be considered for a scholarship opportunity, submit your application to a Pathway program and once you have received your offer letter, ask your education counselor for what scholarships are available. All scholarships are limited and available on a first-come, first-served basis. Redbird graduate student Lavender Ntaoti came to Illinois State from Kenya to help her people in the Maasai tribe. Read more about Ntaoti's research that will help bring clean water to all Kenyans and her longterm goal to help educate the Maasai on health issues. We are #RedbirdProud of Aaron Gyllenhaal, the first-ever winner of the Living Our Values award! Gyllenhaal, a public relations major from Oak Park, Illinois, was honored for his dedication to scholarship and civic engagement.